Mojang's goal with Minecraft PE is to bring the game (and thus, Windows 10 Edition as well) up to speed with the original game. Another piece of that puzzle could be coming soon - Ocean Monuments. With Ocean Monuments being the only naturally-generating objects in oceans, it's likely the surprise feature. 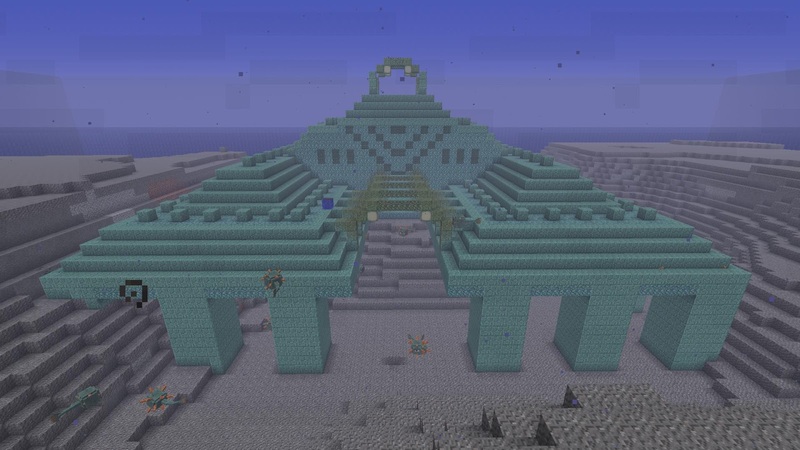 Ocean Monuments were originally added in Minecraft PC 1.8, with 1.9 altering them to only appear very deep in the ocean. And if it's not Ocean Monuments - then what do you think it could be? Let us know in the comments below.